North America, Western Europe, the Far East and Oceania are home to many of the most attractive countries for venture capital (VC) and private equity (PE) fund investments. But don’t forget about South Africa, India and Indonesia, just to name a notable few. Scanning the heat map with the latest rankings from the 2018 edition of the VC/PE Country Attractiveness Index reveals the world’s most promising markets for adventurous investors. Scoring 125 countries based on selected indicators, the index awards points to those countries with economic buzz, an entrepreneurial culture, strong institutions and other key drivers predictive of positive VC and PE fund returns. 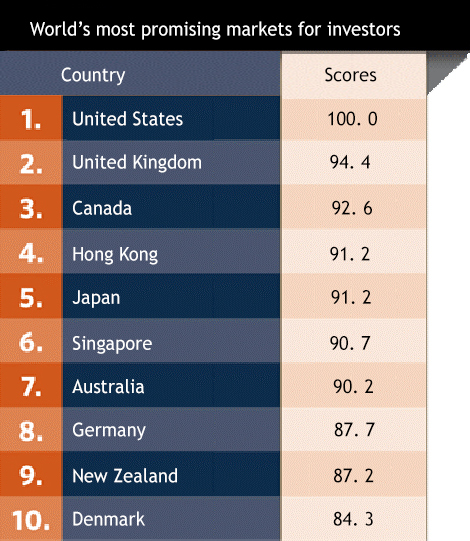 Topping the global ranking is the United States, which then serves as the index benchmark. The U.S.’s strengths include the size and sophistication of its stock market, IPO activity, entrepreneurial opportunities, and overall economic power. 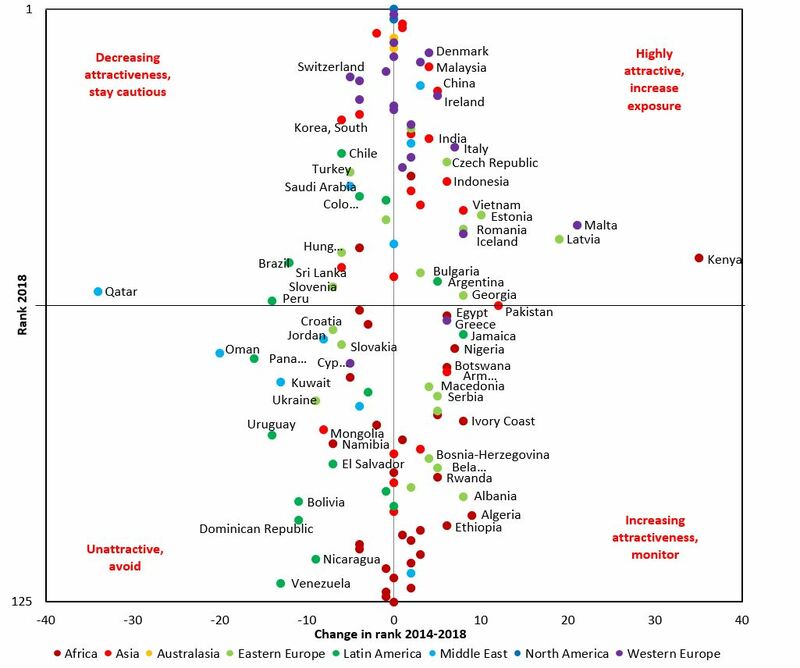 To help spot new opportunities (and raise red flags) far beyond the United States, five-year trends in the rankings are plotted against the latest index results. Countries that are notably attractive to global investors include Denmark, Malaysia, China, Ireland, India, and several Central and Eastern European countries. Since the index has been up and running for about a decade now, the authors decided to measure how well their index has tracked VC/PE market activity and even aggregate returns in each location. Looking at 48 countries with sufficient data available, they found a strong correlation between index scores and a country’s average gross internal rate of return (IRR). So what’s next? This year, the million (or billion) dollar question is: What will happen after Brexit? Report co-authors Alexander Groh, Heinrich Liechtenstein, Karsten Lieser and Markus Biesinger offer a post-Brexit scenario in which the UK drops four spots — from second to sixth — taking the most direct (and predictable) consequences into account. Those consequences include additional regulatory burdens and costs for the U.K.’s VC and PE players to gain access to the European Union’s single market, as well as dampened trade and economic activity. a 2 percent increase in U.K. unemployment compared with what it would be without Brexit. Now in its ninth edition, IESE’s Center for International Finance designed and elaborated the index, working in conjunction with EMLYON Business School. Economies are analyzed according to hundreds of thousands of weighted data points covering six key drivers: (1) economic activity; (2) depth of capital markets; (3) taxation; (4) investor protections and corporate governance; (5) human and social environment; and (6) entrepreneurial culture and deal opportunities. Note that scores are calculated relative to the other countries in the study’s sample. For more information, see the Venture Capital and Private Equity Country Attractiveness Index 2018 website.